After France's Finance Minister Christine Lagarde announced her candidacy for the post of managing director of the International Monetary Fund, India said on Thursday developing nations are trying to 'consolidate' their position to take a view on the issue. While most European countries are backing Lagarde, the developing countries are trying to build a consensus on nominating a person from the emerging nations as the next IMF chief. 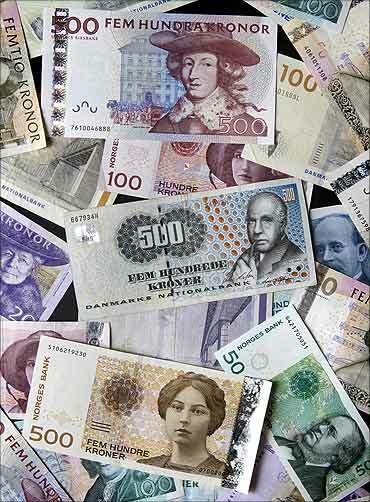 "I am in touch with some of the finance ministers of developing countries and emerging economies . . . We are trying to consolidate our position where we can take a view," Finance Minister Pranab Mukherjee told reporters in New Delhi. 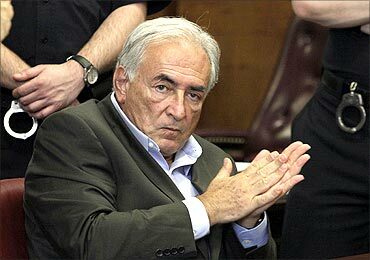 The post of IMF managing director fell vacant following the exit of Dominique Strauss-Kahn, who is being tried for charges of sexual assault in the US. Even Prime Minister Manmohan Singh has asked developing countries to be united in the attempt to reform global financial institutions. "I had a discussion with the Finance Minister of South Africa over the phone yesterday," Mukherjee said. On Wednesday, the BRICS (Brazil, Russia, India, China and South Africa) grouping came out in the open to oppose the notion that the next IMF chief should be from Europe and argued that such a selection criteria undermines the legitimacy of the fund. 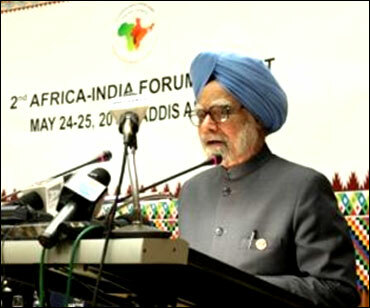 Image: Prime Minister Manmohan Singh at the Africa India forum summit. 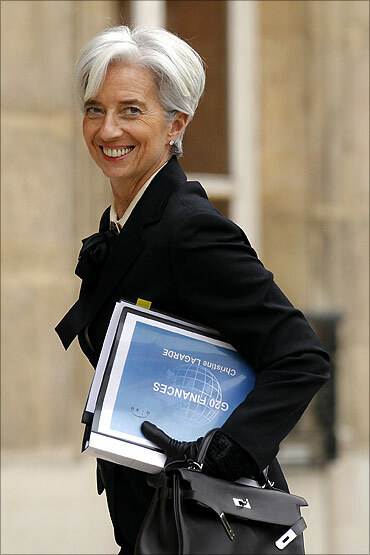 If appointed, Lagarde would be the first woman to head the global emergency lender. Conventionally the chief of the IMF has always been an European, while the World Bank has always been headed by an American. Since US and European nations have over 50 per cent voting shares in the financial institution, it would be very difficult for any candidate outside these countries to reach the top IMF post. Economic Affairs Secretary R Gopalan said, "The Prime Minister has clearly indicated that it (appointment of IMF Managing Director) is a powerplay. . . what we are focusing on is whether we have credible, open, transparent process." "You must have seen the statement issued by the BRIC Executive Directors yesterday in Washington DC. So our aim will be to see that the process is transparent and fair," Gopalan said. Merit-oriented candidate is selected and they are committed fully to the progress of developing countries, he added.